Thursday was a very poorly structured day. 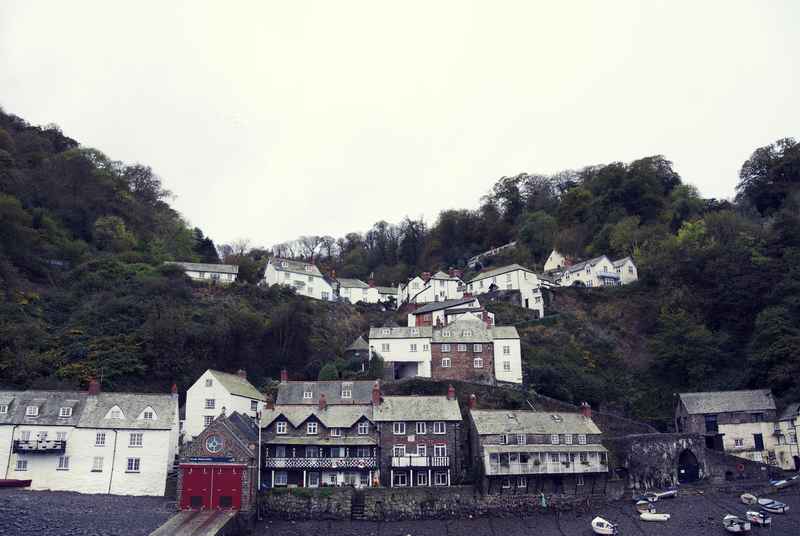 It started out well, as we drove to a near empty Clovelly, another place I visited as a child. It hasn’t changed that much, although I don’t remember the (slightly tacky) gift shop at the top of the village. 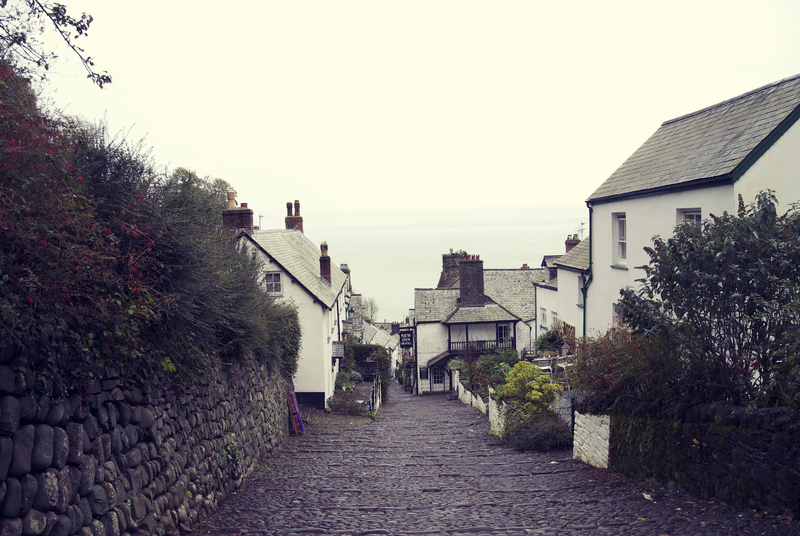 The cobbles were a little wet so we gingerly made our way down the hill to the sea – the fact that there was no one around meant no one could laugh as I slipped about. It started to rain a little when we got to the bottom, but we didn’t mind so much. We wandered about the alleys, talking about a film that we could write about the residents of a historic village, and how they cope with tourist season. On the way back up, we went in the Fisherman’s Cottage and the Kingsley Museum, which were again empty, and then stopped for a cream tea at the New Inn – a tiny place which we surely wouldn’t have been able to get a table in at high season. Nothing else was really open but that was fine by us – we still had a lovely morning. I hoped to pet a donkey back up the top but they were all out. BOO! Driving out of Clovelly, we then couldn’t decide what to do. I knew we were near the town of Bideford so we thought we’d have a wander round there, but we could only find a pay and display car park and we didn’t have any change. We then thought we’d try Barnstaple but as we pulled into the car park, it started tipping down with rain and we couldn’t bring ourselves to get out the car. So, back to Coombe we went, stopping off at Atlantic Village again for a Costa and to pick up a book (as I hadn’t brought enough with me). We quickly dropped in to see my parents – they were staying in Cornwall for an extra night whereas we were leaving on Friday so we thought we’d catch up with them to see what they had been up to since we saw them on Monday. And also use their Wi-Fi. My evening was then spent reading, and watching Husband build a fire. It was an interesting experience, with me fearing for my books at one stage (it’s ok, he didn’t need to burn them in the end) and even though I was quite hot, I praised him on finally getting the logs alight after using an entire box of matches. We woke up relatively early as we had a bit of tidying to do around the cottage before leaving at 10. Hopefully we left it in good enough condition for them! The drive back was insanely rainy so we were a little relieved to not be out and about that day. We made it home in about 4 hours, and then the arduous catching up on housework began.